Old herbs and spices are still usable, even if they’re pale shadows of the flavor bombs they used to be. There’s a good chance you’ve got spices and herbs in your pantry that you can’t even remember buying. I know I do. The allspice has been kicking around since I had little babies and the cream of tartar moved into the house with us a half-decade ago. Don’t even ask me about the dry mustard, the caraway seeds, and the multiple containers of asafoetida that bizarrely proliferated. Spices beyond their expiration dates aren’t going to make you sick or contaminate your food in any way, but they’re not nearly as potent as they used to be. 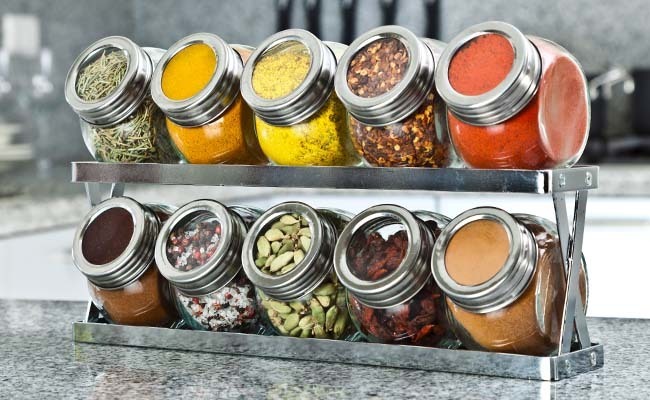 The recommended shelf life for pre-ground spices is 12 months, whereas whole spices can last 2-3 years. Your nose can perform the test; if a particular spice doesn’t give off a strong aroma when you open it, it’s probably past its prime. In order to use up old spices, make a point of using larger amounts in recipes when they’re called for. In fact, I typically add larger quantities of spices than what recipes call for; I find that North American cookbooks tend to be conservative with flavor. 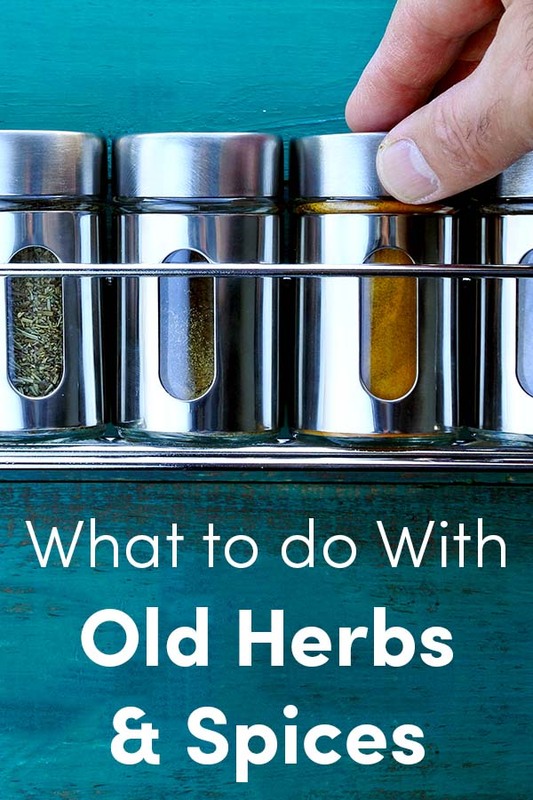 As chef Stevie Parle said, “Don’t be shy, just chuck them in – you can’t go too far wrong and usually it’ll go very right.” A teaspoon of dried oregano can easily be bumped up to a tablespoon if it’s stale. Increase the amount of cumin and coriander in a curry, or chili powder in burrito filling to add extra heat. If you have small amounts of spices, make spice blends, like za’atar, curry powder, grill mixes, herbes de Provence, taco seasoning mix, Italian seasoning, Cajun or jerk seasonings, or seasoned salt. You can also make spice pastes and freeze in an ice cube tray, or blend into compound butters. For the ones that are really far-gone, consider using in non-edible ways. If you make your own soap or candles, add cinnamon, ginger, and cloves. Make aromatic sachets with old herbs for the bath or a facial steam, or use them in your dresser drawer to add a pleasant scent. You can even make spice-based paints for kids to play with; mix nutmeg, paprika, cinnamon and turmeric with water for a colorful pigment.